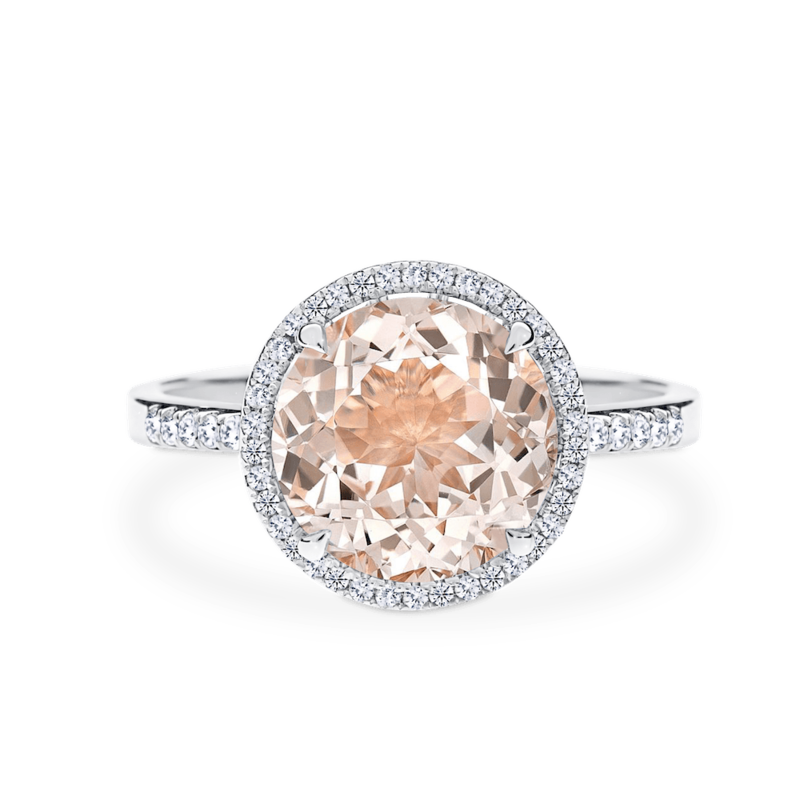 A morganite centre stone comes to life in the ADC Stella setting that is comprised of a halo with white diamonds and finished with diamonds in the shoulders. Morganites are known for their gorgeous pink hues and transparent quality making them ideal for a range of occasions. Available in a range of coloured gem stones and carat weights. Available in 18ct white, rose and yellow gold or 950 platinum.